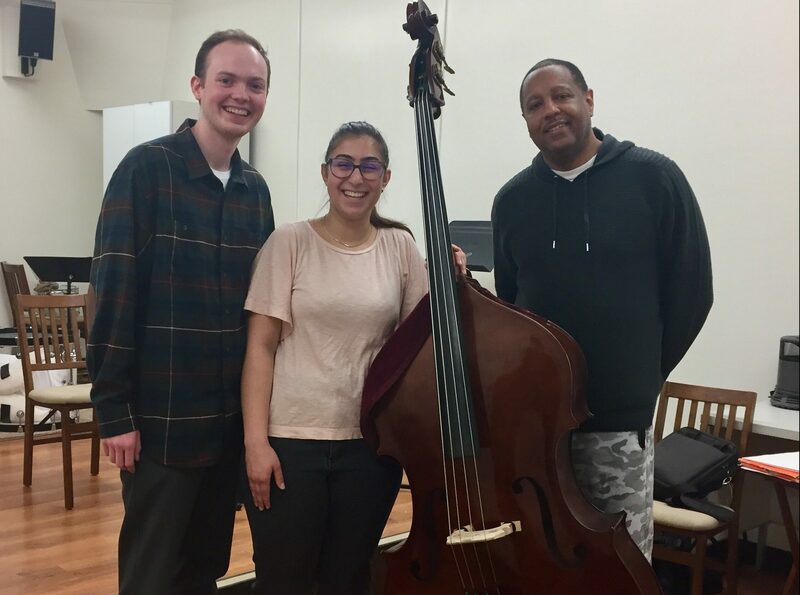 Today capped a memorable weeklong residency with acclaimed jazz bassist Robert Hurst at the Herbie Hancock Institute of Jazz Performance. 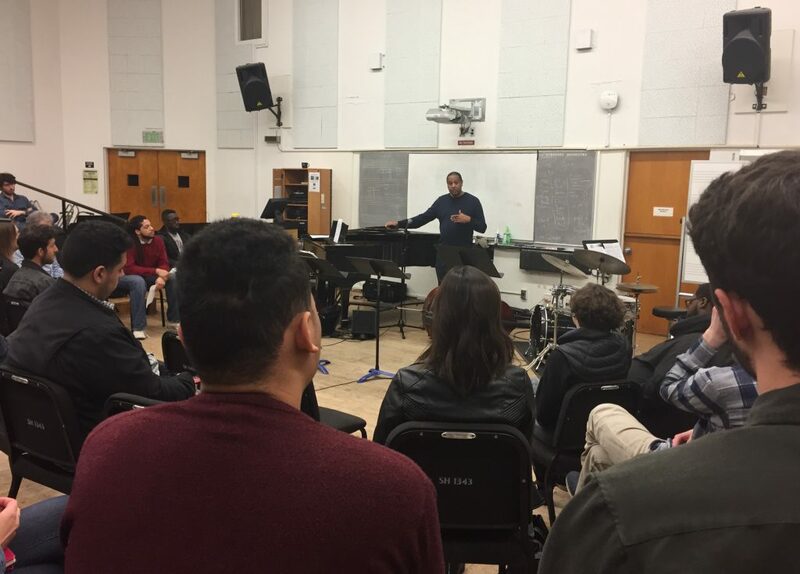 A seven-time GRAMMY Award winner, Hurst shared his decades of experience and insight with members of the Institute’s Class of 2020 as well as students at the UCLA Herb Alpert School of Music—a special benefit of the program’s ongoing partnership with UCLA. 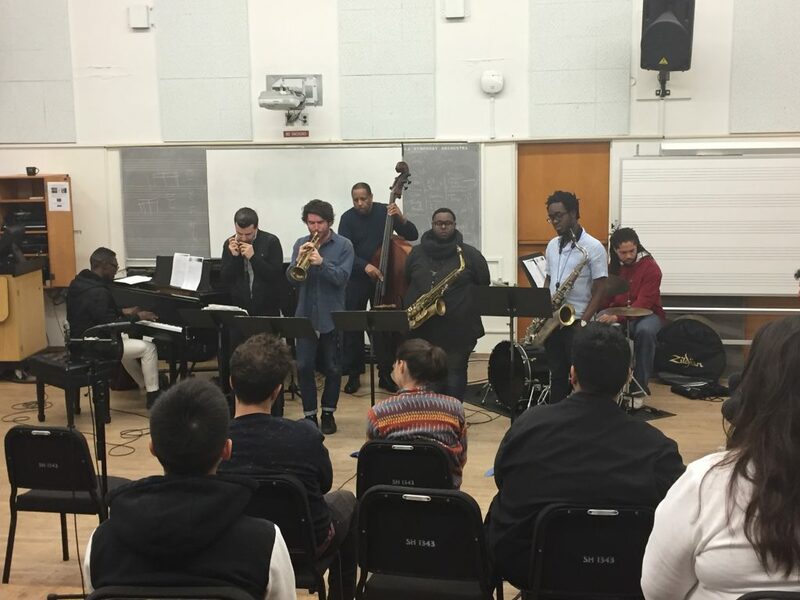 During his time on campus, Hurst worked in-depth with the seven Institute students both in a full ensemble format and one-on-one. 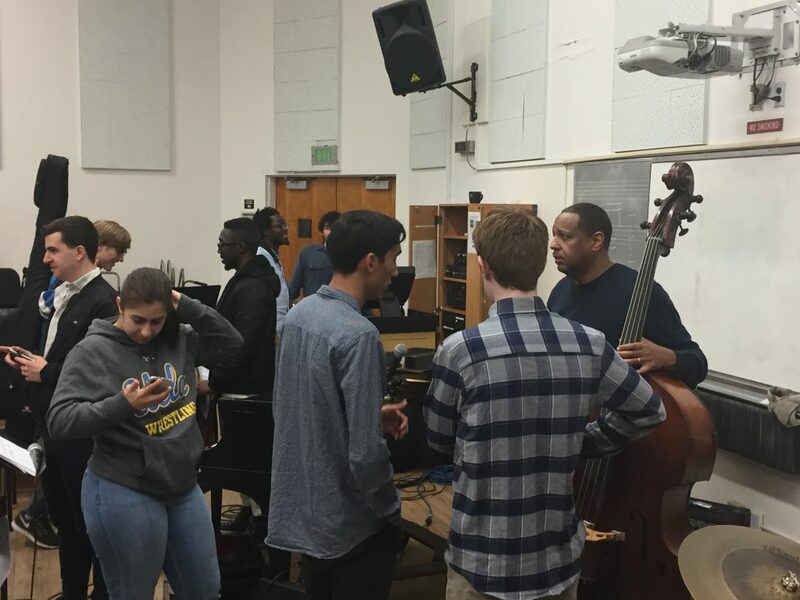 He also conducted private lessons for UCLA undergraduate bassists. 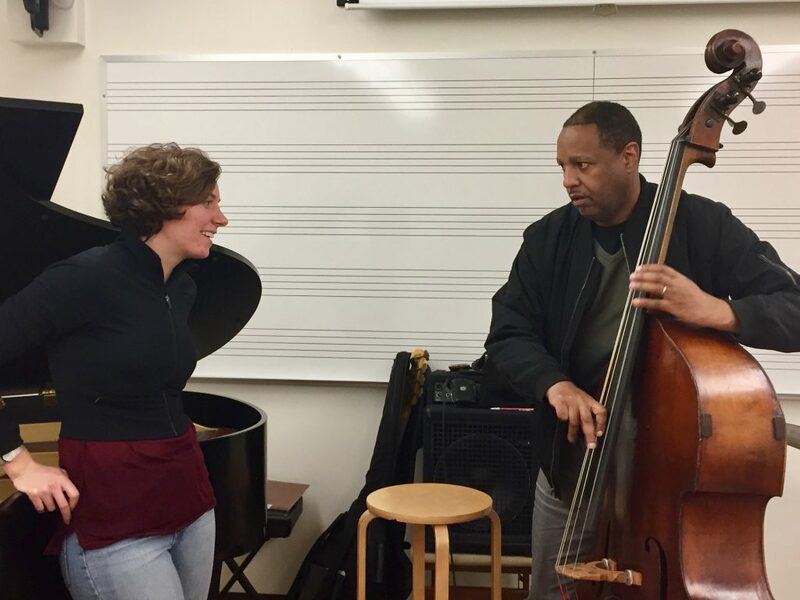 A highlight of every Institute residency is the visiting artists’ master classes, offered for free to UCLA students, local musicians and members of the public as opportunities to learn directly from true masters of the music. Hurst’s, which took place on Wednesday, January 9, saw the Tonight Showveteran break down critical elements of performance and technique. For his live musical examples, Hurst was ably assisted by the Herbie Hancock Institute of Jazz Performance Ensemble. A Detroit native, Robert Hurst has enjoyed a stellar, 30-year career as a highly respected GRAMMY and Emmy Award-winning electric and acoustic bassist, composer, educator and recording artist. He performed in the bands on NBC’s The Tonight Show with Jay Lenoand Saturday Night Live. Currently, Hurst serves as Associate Professor of Music at the University of Michigan School of Music, Theatre & Dance and directs the university’s chamber jazz ensembles. He has performed on over 150 critically acclaimed recordings and toured with artists including Sir Paul McCartney, Charles Lloyd, Wynton Marsalis, Dave Brubeck, Terence Blanchard, Tony Williams, Nicholas Payton, Sting, Pharoah Sanders, Barbra Streisand, Willie Nelson and Yo-Yo Ma. Hurst’s latest recording, Black Current Jam, was selected as one of the Best Albums of 2018 by DownBeatMagazine. Learn more about the Institute’s college program.